PlayerUnknown's Battlegrounds, one of the most popular online first-player shooter games that had an all-time peak concurrent player count of 3.2 million according to Steam Charts, is now available on the Mobile platform. PUBG Mobile brings the original battle royale gameplay using the same Unreal Engine 4 platform to bring immersive graphics to the Mobile platform, offering visual and audio experience up to par with the PC version of the game. 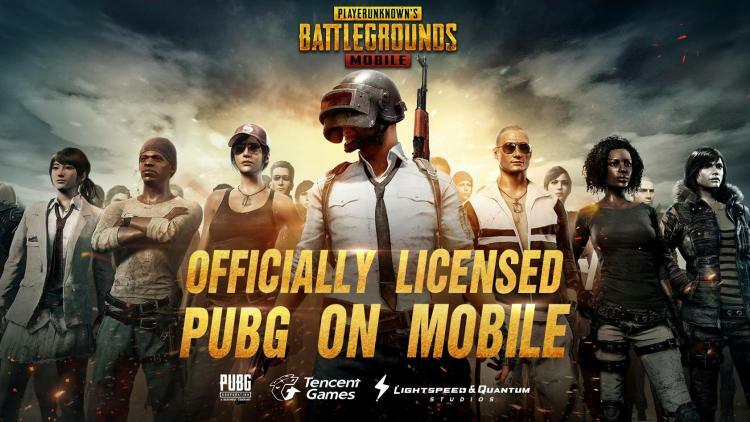 PUBG Mobile is officially licensed and an authentic version of the PC version. On the mobile version, 100 players are dropped on an enormous battlefield with an area of 8 x 8 kilometres. The battle royale game type will push players to outplay and outlast others until only one remains as the last one standing and wins Winner Winner, Chicken Dinner! Officially licensed PUBG on Mobile: An authentic port of the PC version. Realistic Graphics and HD Audio: Unreal Engine 4 brings a phenomenal visual experience with detail rendering, an expansive HD map, and realistic scenes with high-quality audio such as 3D sound and 7.1 surround sound support. Realistic Shooting: With a large selection of firearms, melee weapons, and throwables with realistic ballistics and trajectories, this is the perfect combat experience on mobile. Travel in Style: Drive one of a variety of vehicles to escape from your foes or to stalk your prey. Team-Up with Friends and Use Voice Chat: Invite friends to team-up, head into battle together and collaborate over voice chat. Fair Gaming Environment: Armed with powerful anti-cheating mechanisms and optimized for many devices, ensuring a fun and fair environment for players. Android: Android 5.1.1 or above and at least 2 GB RAM. Supports more than 500+ Android devices, including REDMI NOTE4, REDMI NOTE3, SAMSUNG GALAXY J7, OPPO A37F, OPPO A37FW INTERNATIONAL, REDMI 3S, VIVO Y53, SAMSUNG GALAXY S6, SAMSUNG GALAXY S7, LG GOOGLE NEXUS 4, SONY XPERIA E5, etc. iOS: iPhone 6 or above. PUBG Mobile is now available on Google Play for Android and iTunes for iOS.